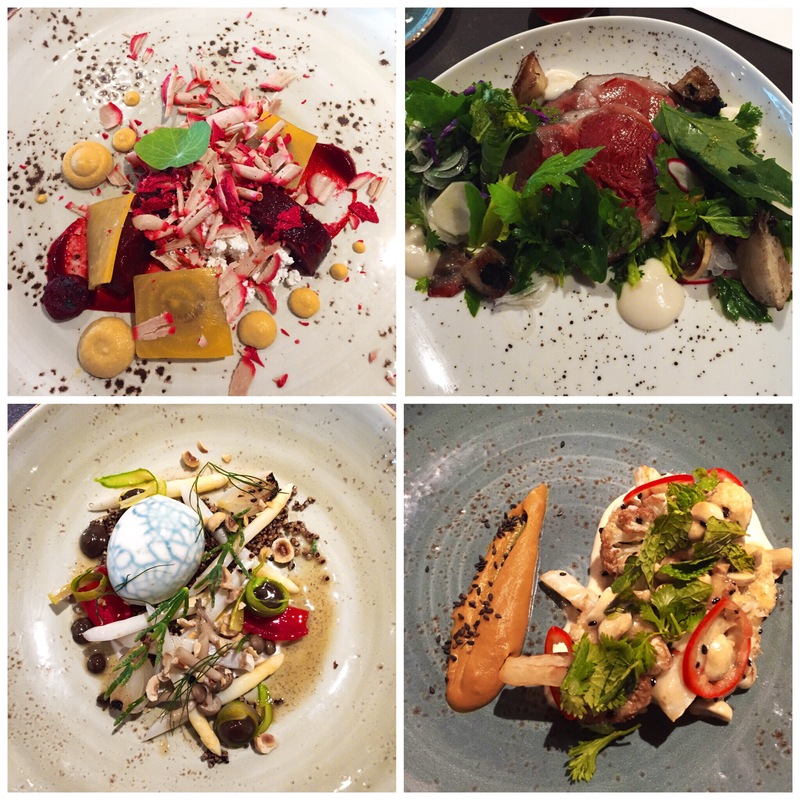 Top left: Beet Salad – fois gras, vadouvan granola, buttermilk. Top right: Grilled Short Rib – green onion picada, fennel puree, king oyster mushrooms. 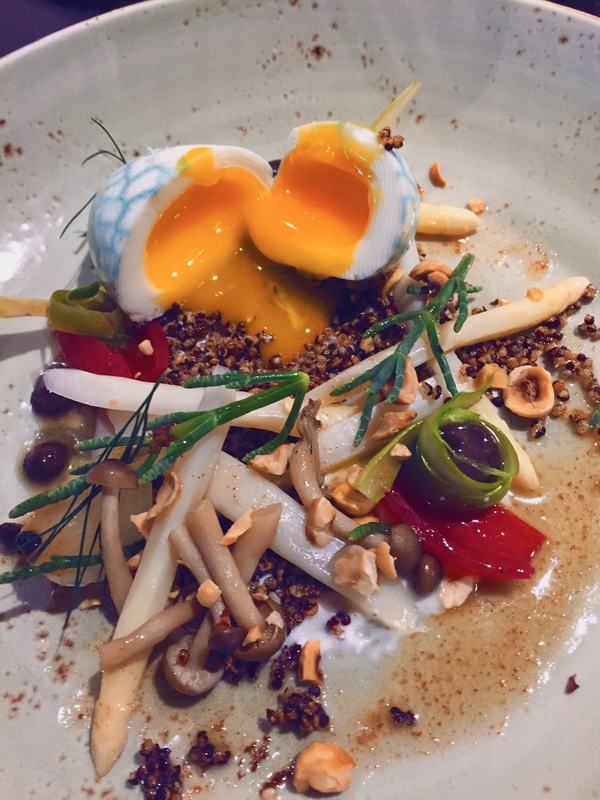 Bottom left: Tea Egg – black garlic, spring onions, asparagus, puffed quinoa. Bottom right: Cauliflower – carrot puree, Thai vinaigrette, peanuts. Above is the Brewer’s Table Tea Egg in all its glory. As a vegetarian living in the Midwest, it is only an occasional vegetable-forward fine dining restaurant that manages to take me to the edge of my textural comfort zone in ways that call to mind meat-eaters’ territory. The tea stains curving across the soft-boiled egg summon to mind blue veins, the egg yolk runs, the mushrooms are chewy and some of the circles and blobs reminded me of escargot even though they were safely vegetable. The Brewer’s Table is a place to experience something interesting and out of the ordinary, paired with extraordinary Surly beer. This entry was posted in Dining Out and tagged Citypages, fois gras, Minneapolis, Surly, Surly Brewer's Table, tea egg, vadouvan by Our Way to Eat. Bookmark the permalink. This looks divine! Thanks for sharing!